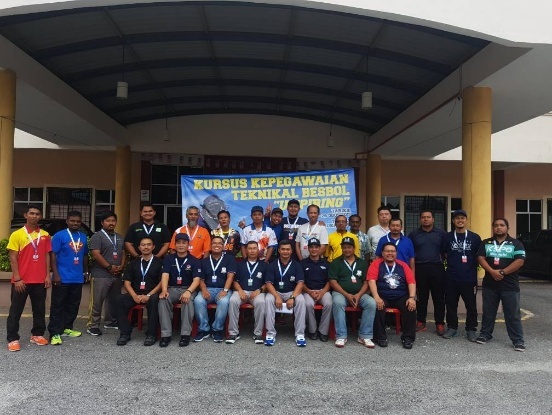 Baseball Federation of Malaysia　（BFM） organized an umpire course at Universiti Putra Malaysia (UPM), Serdang, Selangor, outskirt of Malaysian Capital Kuala Lumpur from August 26 to 28 by inviting a veteran international umpire FULGENCIO RANCES JR. (Philippines). 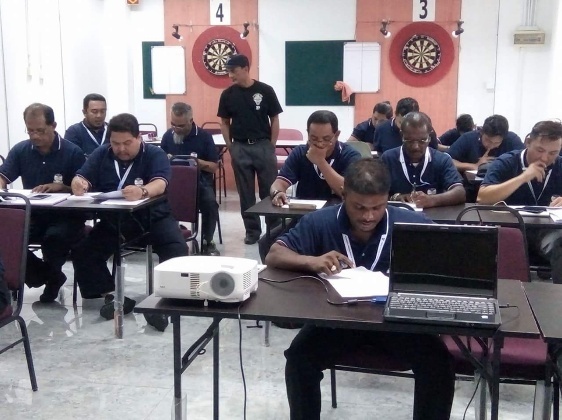 22 students from all over Malaysia were put through drills to learn rules, proper mechanics and positioning, and received a certificate after receiving the test. EDGAR DELOS REYES (HEAD COACH PHILIPPINE National TEAM) and WLFREDO HIDALGO JR. (COACH) joined to assist the umpire school. Newly elected officials since the beginning of 2017 include President Dato’ Wan Azman Wan Omar, Senior Vice President Dr. Hanafiah bin Ayub, Secretary General Zaharah binti Abdullah, Treasurer Jennifer Lendai Kundat. President, Senior Vice President and Secretary General work with UPM which recognize baseball as a sport to advance globalization of the University. Dr. Hanafiah is Malaysian Representative of Asia University Sports Federation. On September 24, 2017, Dr. Hanafiah attended the presentation ceremony of baseball goods from the Seibu Lions at their Stadium compound in Saitama, Japan. The Pacific League club of Nippon Professional Baseball have been donating baseball goods from their players and fans since 2013 to help promote the sport abroad, and supported Asian Baseball Match involving the national squads and under-15 teams of Cambodia, Malaysia, India and Vietnam over three days in December, 2016 at CBAF Baseball Park in Kampong Thom province, Cambodia. In Malaysia, BFM also hosts Malaysian Baseball League competed by 6 teams: 1 UPM, 1 Japanese expatriate, 2 Korean expatriates and 2 Malaysian club teams at UPM campus every weekend since June, 2017. In December, President Cup will be held at UPM and several States out of 14 will send their representative squads to the tournament. For junior players of Under 12, T-Ball class has been held to familiarize with the bat and ball game; baseball. BFM is preparing to be eligible to participate in the WBSC/BFA sanctioned games, possibly beginning with the Asian Games in Indonesia in 2018, the first official international event for BFM since the South Eastern Asian Games in Indonesia in 2011.